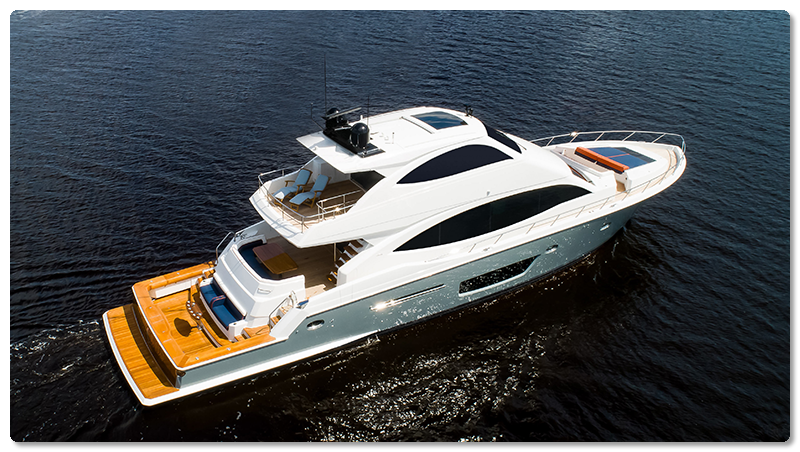 The Viking 82 Cockpit Motor Yacht merges the elegance of a mega-yacht with the versatility and functionality of a 150-square-foot cockpit for the ultimate crossover experience. 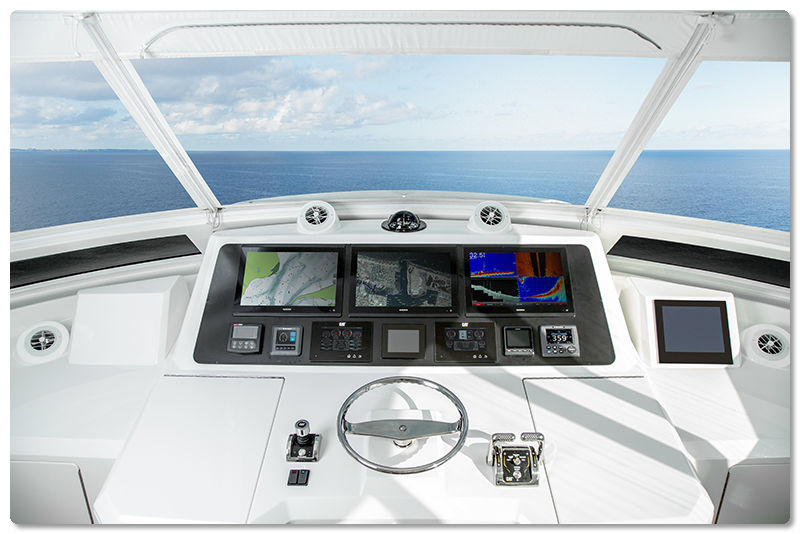 Offering our 82 MY with either an open or enclosed bridge exemplifies Viking‘s commitment to giving our customers the choices they need to fully satisfy their on-the-water interests and adventures. Talk about the best of both worlds. 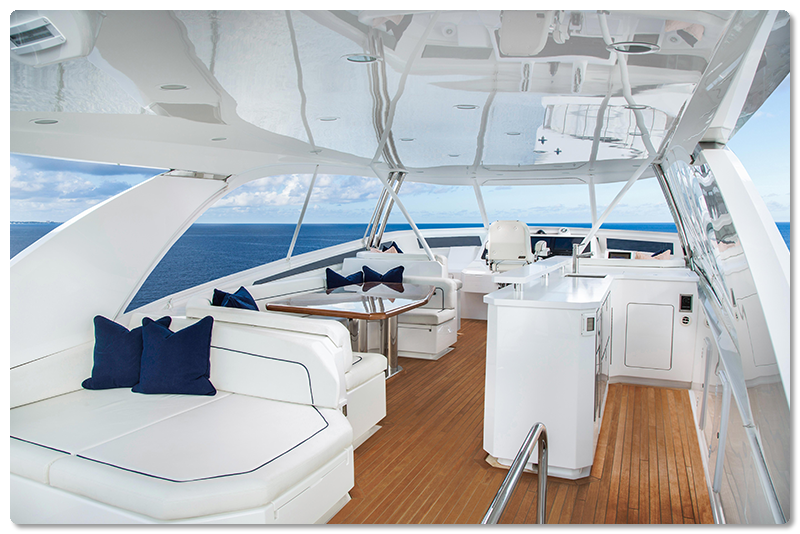 Dine, entertain and relax in a proverbial lap of nautical luxury or fish from a cockpit with all the design traits of Viking‘s tournament-winning convertibles. This expansive space, combined with mezzanine seating and a hydraulic swim platform, can also serve as a hub and launching point for a variety of water sports. 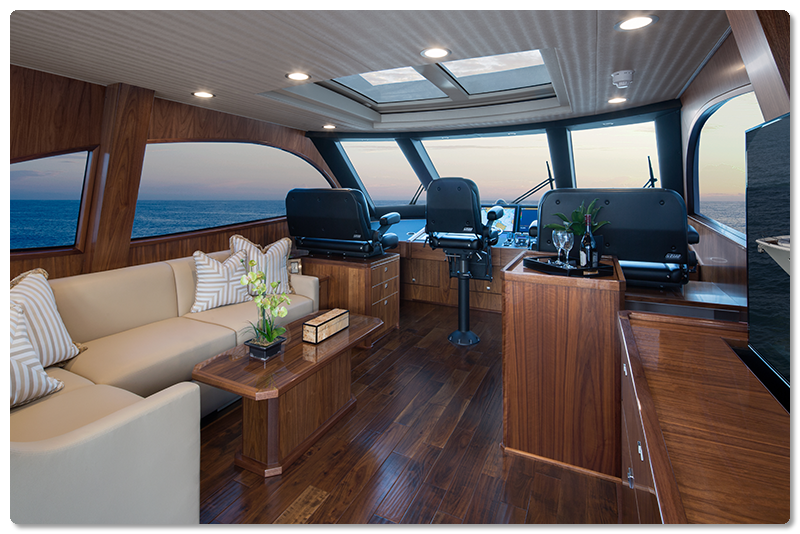 The open bridge layout is all about enjoying the great outdoors, with a Venturi windshield, removable Costa Clear enclosure and abundant seating and lounging areas. 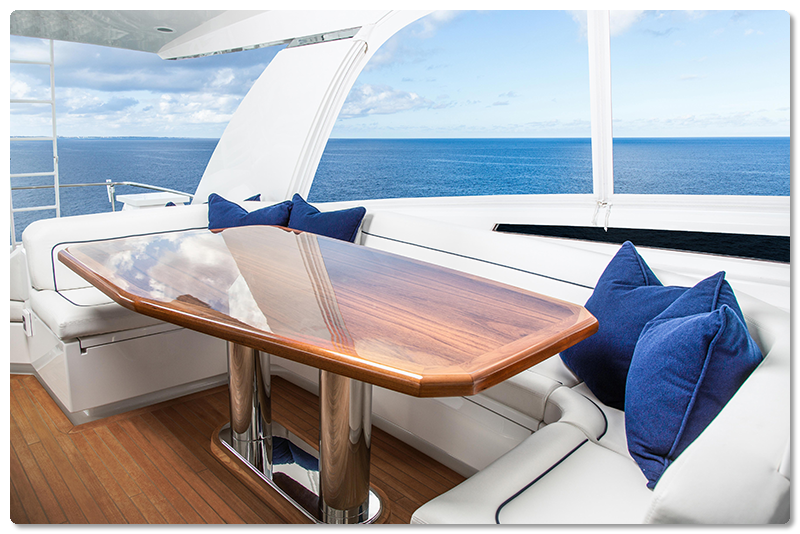 Abaft the centerline helm, a family size dinette, a wet bar with refrigeration, a sink and an electric grill will get your party started. Farther aft there is a sun pad with underneath storage, room for lounge chairs and a staircase to the lower after deck. 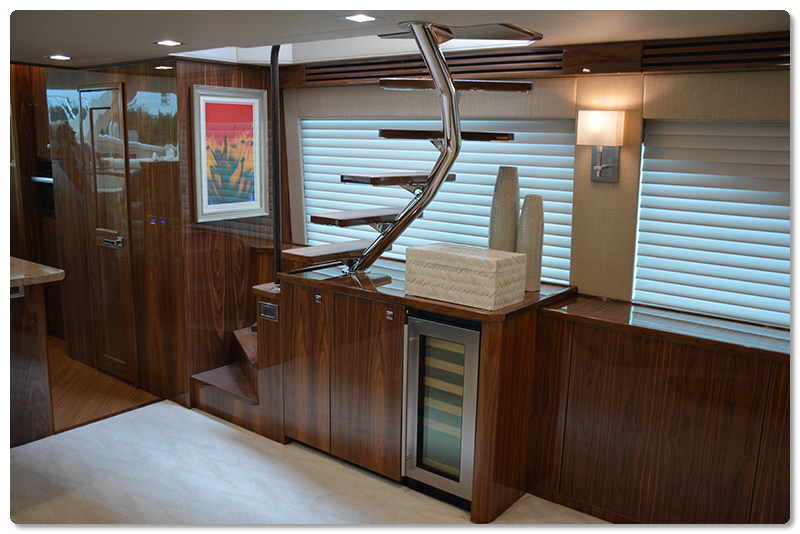 This 82 also features an optional teak deck and helm and dinette air conditioning. 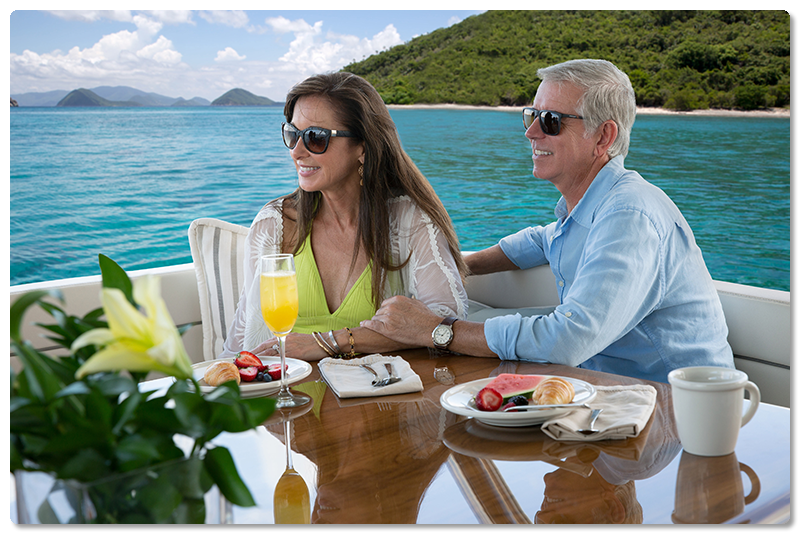 You’ll find luxury on every level of our three-deck, six-stateroom yacht. The custom-polished stainless steel spiral staircase, which joins the enclosed bridge and salon, is one of the many examples of Viking‘s prowess at blending artful forms with function. The climate-controlled enclosed bridge accommodates a second salon, complete with an L-shaped lounge, walnut hi/lo cocktail table and an entertainment center. 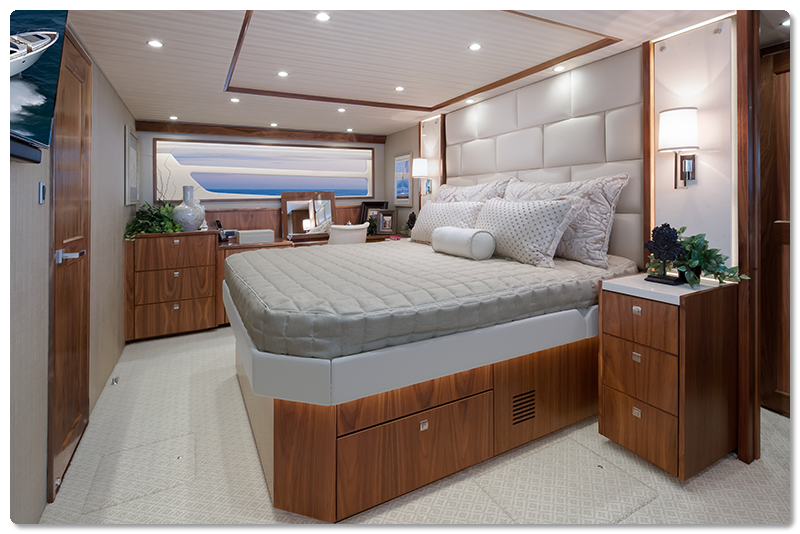 In the full-beam master suite with its king-size bed, the hand-finished walnut joinery creates a symphony of style and sophistication. Amenities include a flat-screen HD TV, a vanity and a love seat, and hull-side windows that pull in an abundance of natural light. 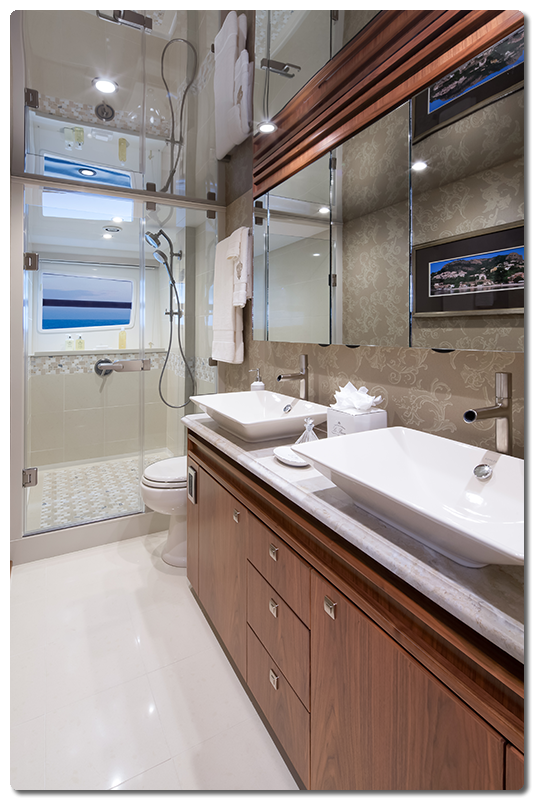 Twin sinks, a vanity and a tiled shower complement the spacious master head. 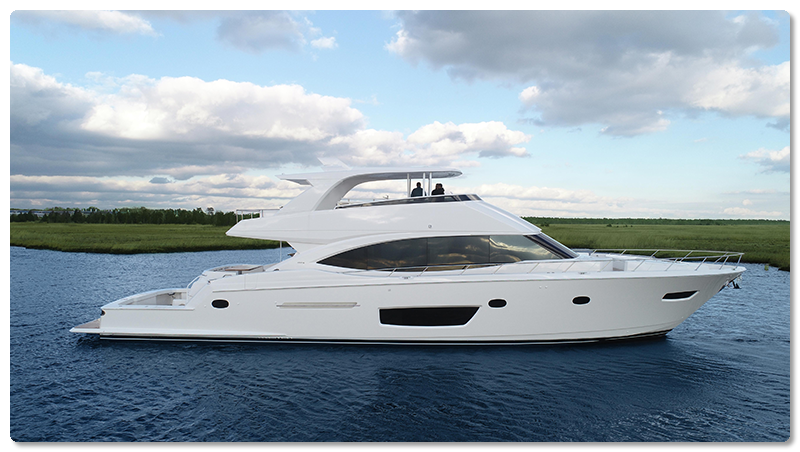 You can see both the enclosed and open bridge versions of the 82 MY at our annual VIP Boat Show Preview this Friday and Saturday at the Viking Yacht Service Center in Riviera Beach, Florida, followed by the Miami Yacht Show, February 14 through 18 at the event’s new downtown location. For more information, we invite you to contact your authorized Viking dealer or contact Gina Waldron at (609) 296-6000 ext. 427. Know someone who’d love a Viking? Forward this email to a friend. Want to learn more about Viking? Click here to join our email list. 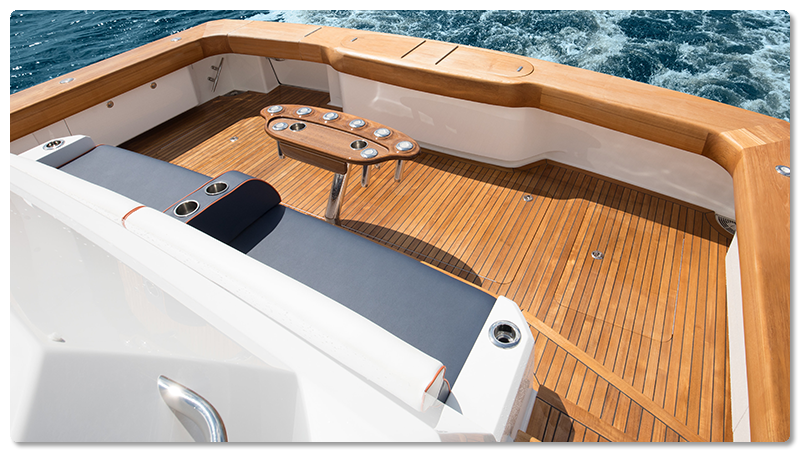 Oyster Harbors Marine provides yacht sales, yacht brokerage and yacht service; and is also recognized as one of the top performers in the boating industry. © 2019 Oyster Harbors Marine. All Rights Reserved.